Photo by Rev. Steve Ayres. 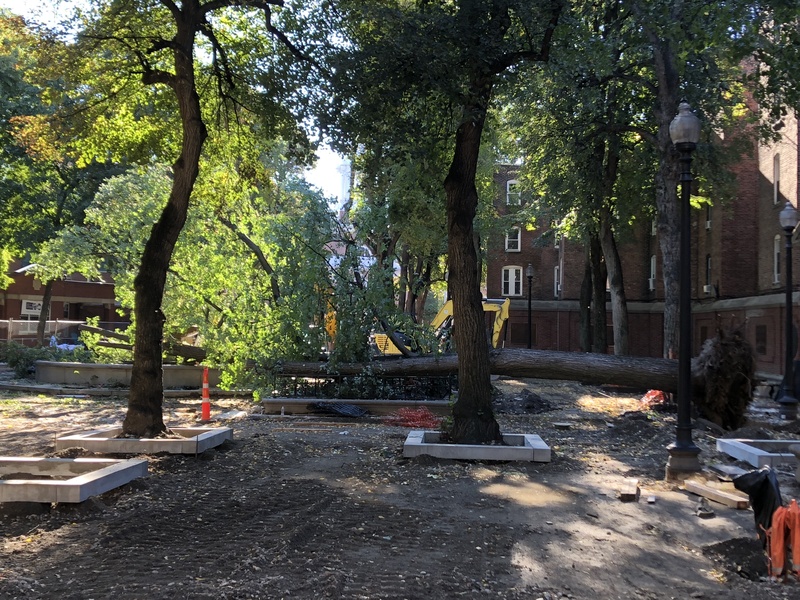 A massive Linden tree at the Paul Revere Mall, also known as The Prado, was toppled into the fountain by high winds in last night’s storm. Fortunately, The Prado is currently fenced off from the public as it undergoes renovation. High winds, huh? Call me skeptical. 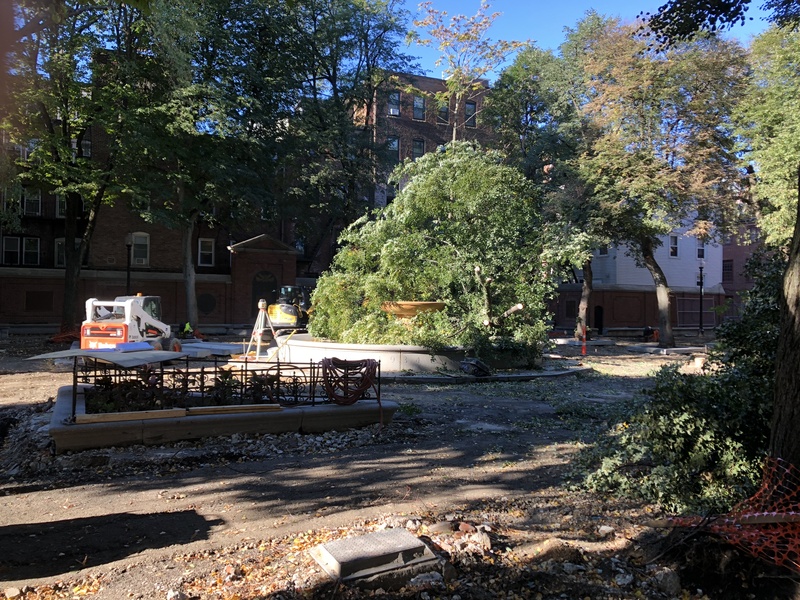 I hope the contractors responsible for Prado renovations are being held accountible for preserving these beautiful trees, and will be compensating the City to replace any damaged trees through the duration of the project. 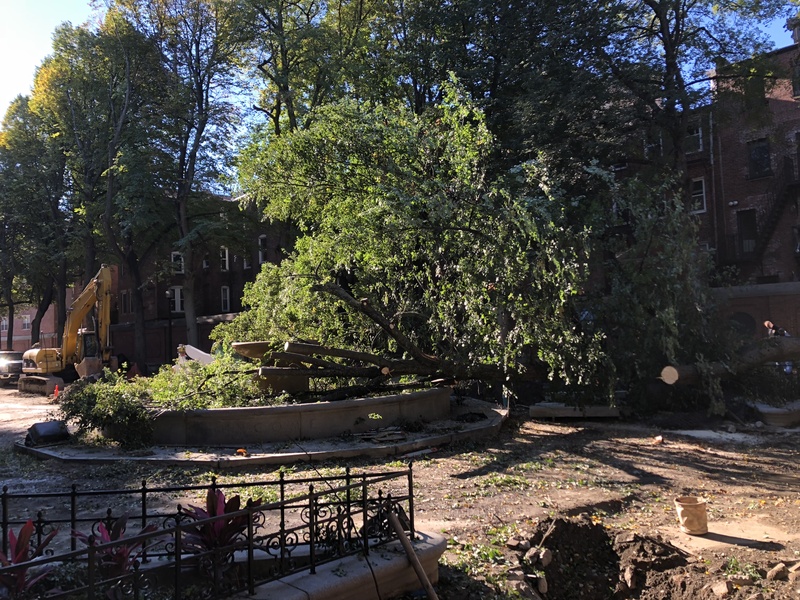 This neighborhood can ill afford to lose any more of what few older trees are still standing. I had the same thought. 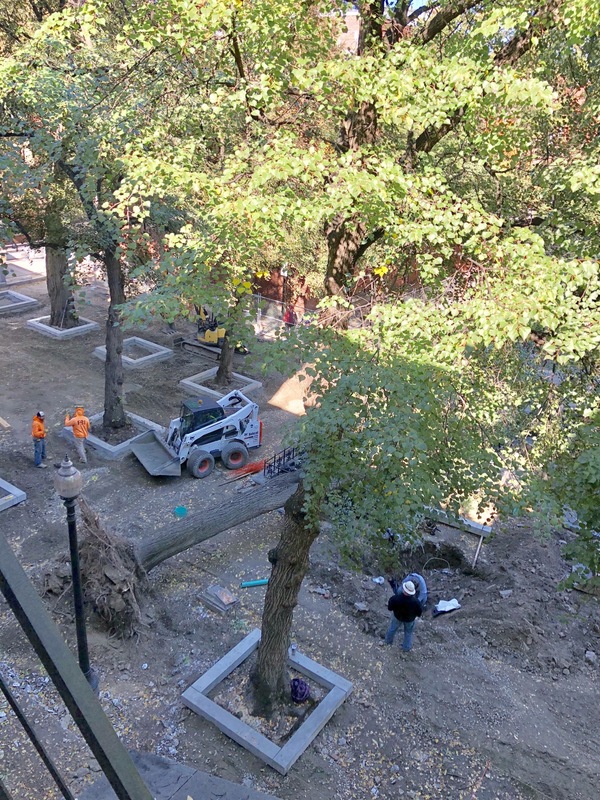 I hope there is care in place to help these trees make it through construction.